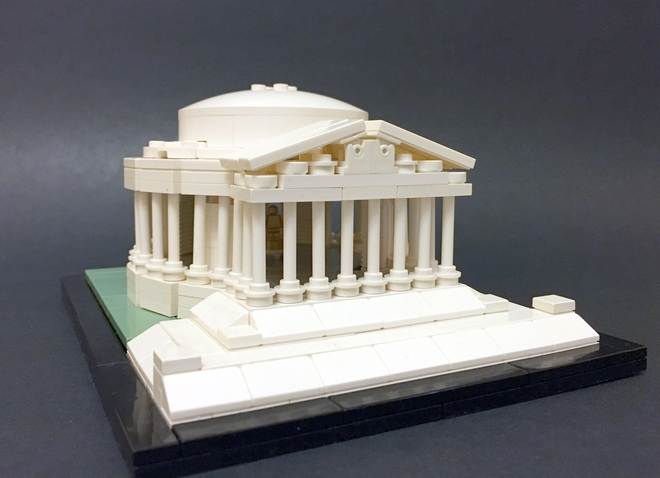 The Jefferson Memorial in Washington, DC, is a striking monument built in the style of the Roman Pantheon. 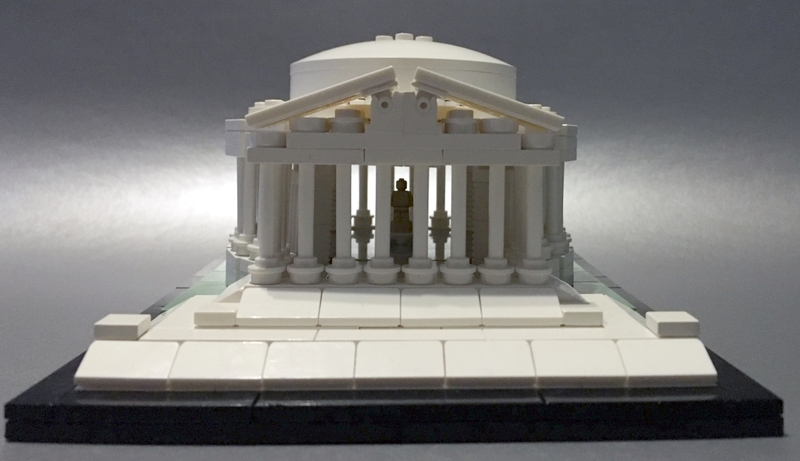 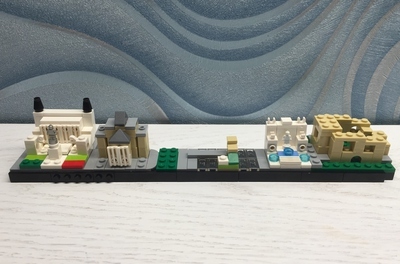 This LEGO recreation of the Jefferson Memorial is conceived as a cousin of set no. 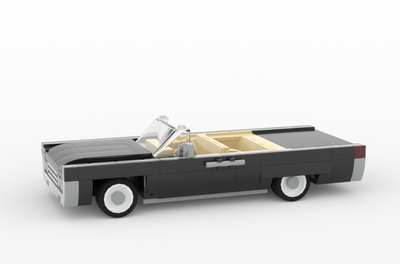 21022, the Lincoln Memorial. 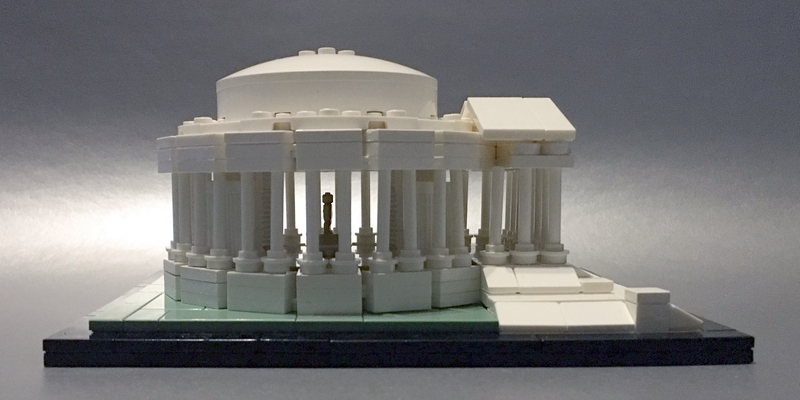 Using the same column elements as the Lincoln Memorial to create a consistent look, the Jefferson Memorial is distinguished by its circular shape, domed roof, and expansive front stairs. 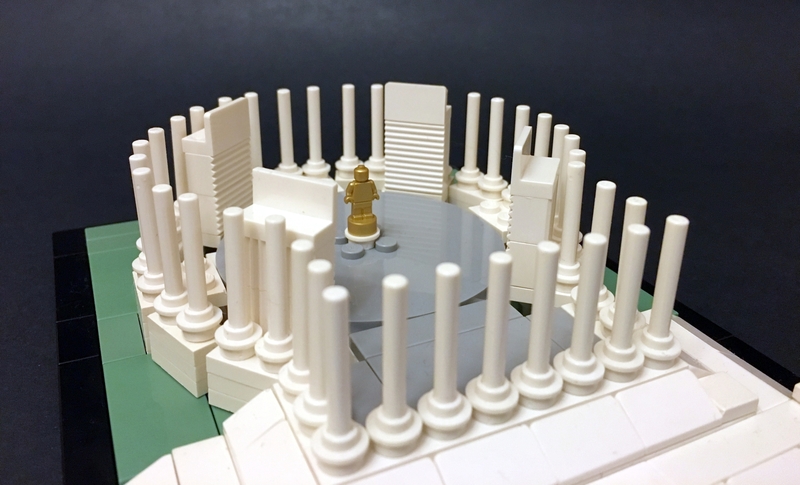 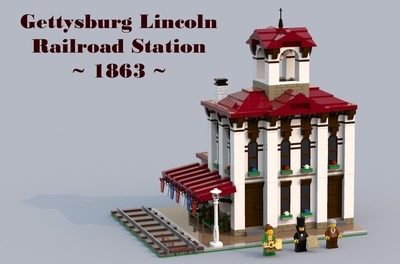 Like the Lincoln Memorial set, this build features a removable roof and a small statue inside. 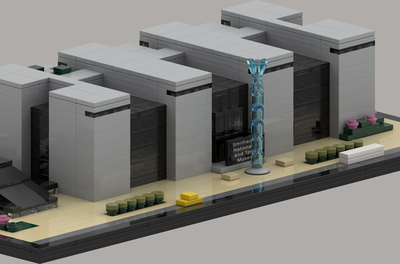 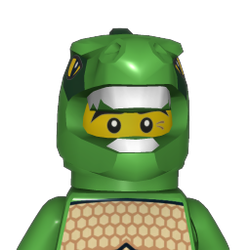 I estimate this build is about 350-400 pieces.